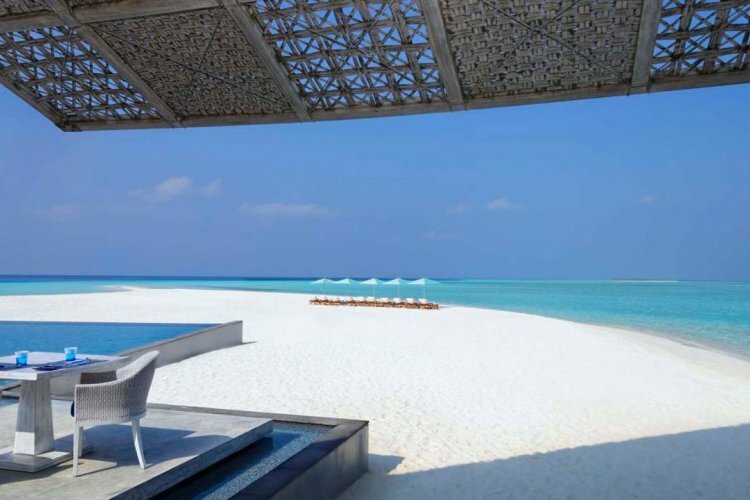 The stunning location of the Four Seasons Resort Maldives at Landaa Giraavaru gives you a five star service with a sense of wilderness and discovery. 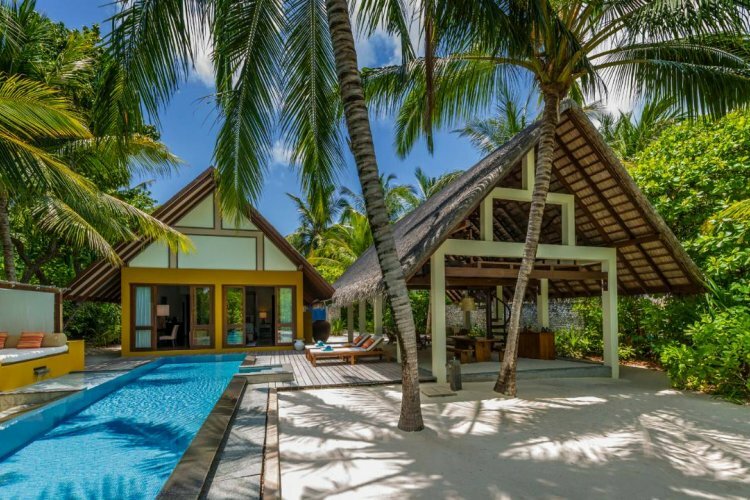 The 102 villas are spread out across a jungle in the Baa Atoll UNESCO World Biosphere Reserve and combine impeccable service with world class facilities. The accommodation choices at the Four Seasons Landaa Giravaru include luxuriously appointed bungalows and villas as well as specialty suites. Enjoy air-conditioned comfort and all the amenities you could need for a luxury holiday with rooms offering breathtaking views of the ocean or the tropical lagoon. 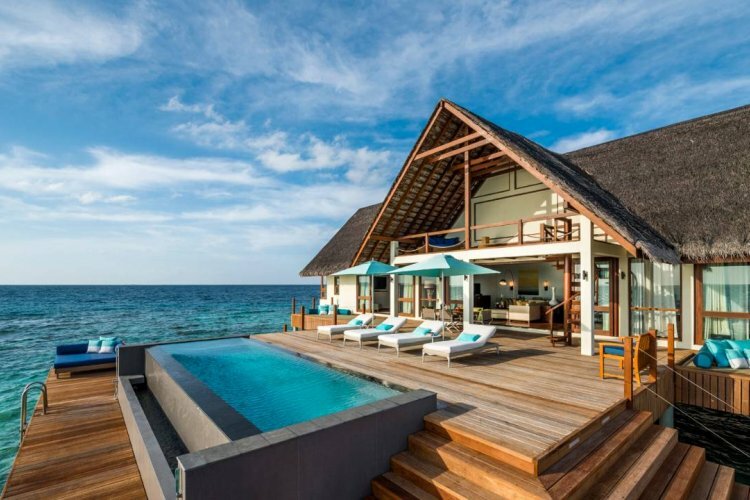 The Sunset Water Villa option lets you experience traditional coral-based construction in a traditional Maldivian style with contemporary touches. The villa includes many comforts such as a large plasma screen television, a private bar and dressing area. A private deck gives access to a private pool and you can ascend the spiral steps to enjoy the sea views on the loft patio. 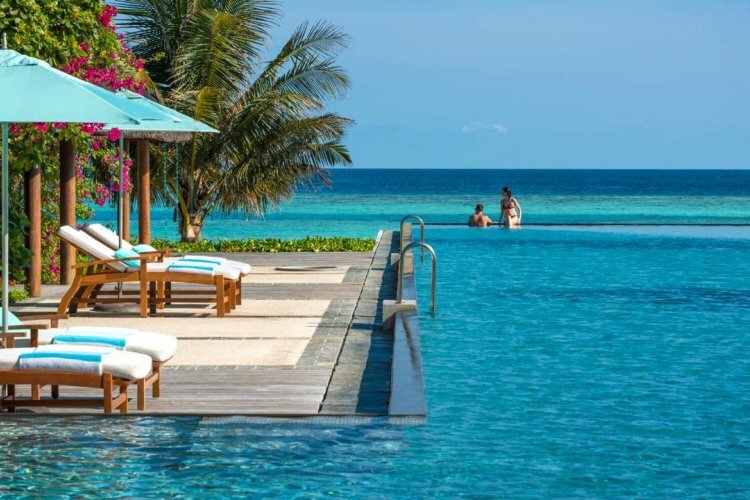 An ideal choice for a family holiday is a Beach Bungalow with a pool which features a second bedroom joined by a corridor so it's a great choice for families with older children. The Bungalows includes internet access, private bar and satellite television as well as a private pool with deck area. 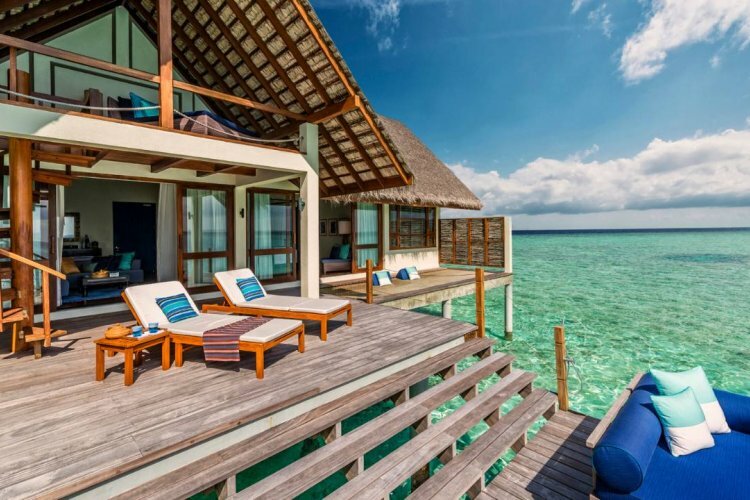 Other room options include a Sunrise Water Villa a two bedroom, Land and Ocean Suites and a Sunset Two Bedroom Water Suite where you can enjoy uninterrupted lagoon and sunset views. The 5 star Four Seasons Landaa Giravaru includes world class facilities and many amenities to keep you and the family entertained. The PADI Five Star IDC Centre opens up the underwater world with diving trips for all ability levels as well as many other Watersports. The Marine Discovery Centre allows you to see the many creatures of the underwater world with an interactive marine programme and you can maintain your fitness in the well-equipped gym. There is an outdoor floodlit tennis court with on-site tennis pro to help improve your game and for children there is a choice of kids diving courses, daily activities and a Kids club. The resort boasts a fantastic choice of restaurants with the perfect venue for any occasion such as the wonderful Italian restaurant Blu where you can enjoy delicious meals as you watch the sunset. Cafe Landaa gives you access to Asian specialities throughout the day and you can enjoy your meal in one of the thatched pavilions dotted amongst the ponds. Enjoy dinner right on the sand at the Fuego Grill where you can enjoy freshly caught seafood whilst taking in the view or sip a cocktail at the Seabar. The Spa at the Four Seasons provides a stunning setting for a relaxing treatment with ten open-air treatment pavilions set amongst tropical gardens or on stilts over the lagoon. The Spa and Ayurvedic Retreat places an emphasis on natural healing which is complimented by the Beyond Organic products and ayurvedic physicians. 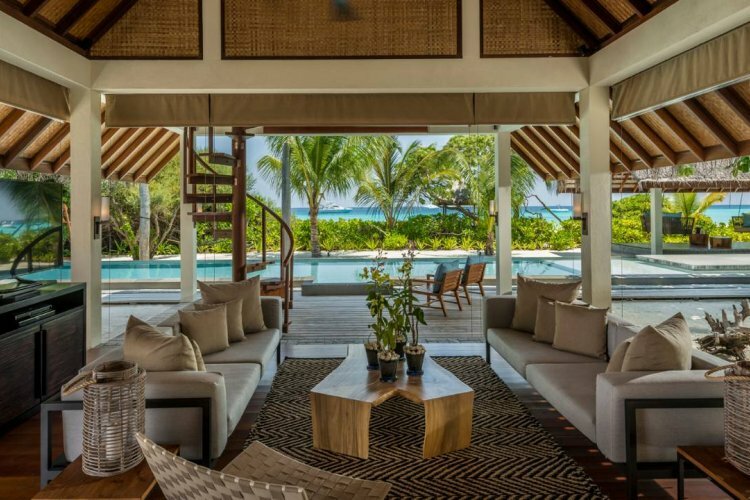 The Four Seasons Landaa Giravaru is a great choice for a villa holiday as many of the amenities can be enjoyed in the privacy of your own space including in-villa dining and massage treatments. 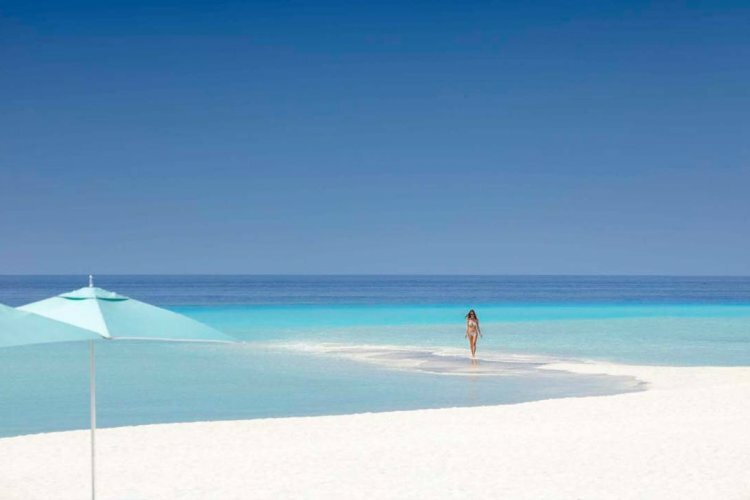 A wonderful experience in both Four Seasons Island resorts.